From our vantage point up here, Father Dan and I have the perfect view of what is pictured in the passage from St. Paul’s letter that we just heard proclaimed as the first reading. There are a variety of gifts, services, ministries. What better scripture reading to help us reflect on what we are celebrating today. The Candidate-Associates about to commit themselves today in this associate relationship with the Sisters of Providence are teachers and writers, artists and musicians, therapists of various disciplines. Some of you have written books, run academic institutions, conquered addictions, been advocates against racism, grown vegetables and given them away. You have stood up to abuse, gone in search of the sacred and been instruments of healing for others. You are mothers and fathers, grandparents – we have at least one great-grandmother in our midst. Some of you have known us since your infancy; some of you just found us – providentially, of course. Many of you are related to a Sister of Providence, and a whole gaggle of you have been educated by us. You have heard the idiom – an embarrassment of riches? I am not at all embarrassed by this abundance of riches present here today. 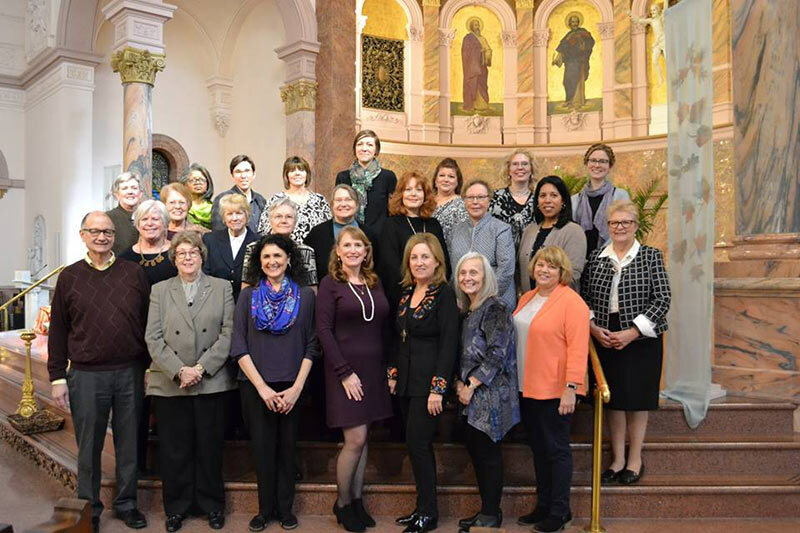 It is a richness of gifts not only found in our Candidate-Associates, but also in the Providence Associates who will recommit themselves today and in our Sisters who welcome you as companions and friends. I rejoice and give thanks for the giftedness of this entire Providence Community. I rejoice because, as Paul instructs us, though there are a variety of gifts, they are a manifestation of the same Spirit, inspired by the same God. ALL of these gifts have been given for the Common Good. There is cause for rejoicing here. It was obvious to me, as I read your letters of intent requesting this relationship as Providence Associates, that you have already been bearing much fruit, you have already spent much of your lives putting your gifts at the service of others. For a year, you and your companion have been exploring this friendship, this associate relationship with the Sisters of Providence. You have learned about the charism of Providence and probed what it might mean for your own life to allow that charism to flow through you and out into the world. What might it look like for you to be Providence in the world through works of love, mercy and justice – for you to share in the work of education and service, advocacy and prayer? The world needs you for this. And though each of you will find the best way to express this in your own life, there is one thing I believe we are all called to do together. Actually it is something we are all called to be together – and that is, the Providence Community. There is nothing more important, more radical, more necessary than community. I so feel that sense of community on a day like today when we are gathered here together. Twenty-three new Providence Associates made commitments on Saturday, Nov. 10, 2018. But I also feel it when I open Facebook and see my sisters and our associates, standing side-by-side outside the Terre Haute Courthouse or outside the detention center in Brazil, Indiana, or along the downtown streets of Indianapolis, to be with victims of violence or those in fear of deportation. I so feel that sense of community when a sister tells me she cannot meet with me that day because her Providence Circle is meeting, or don’t bother her this weekend because she is attending the Providence Associate Retreat. Every time I read the prayer requests chronicling the needs of all of us, I am reminded of our profound need for one another and of how God’s love, channeled through each of us, will reach those in pain. If you’ve read Peter Block’s book on community, then you know that the single most important contribution to the success or well-being of a community is the quality of the relationships. This may be why we do not call this Providence Associate undertaking a program – we call it a relationship. Our very understanding of Providence, of God’s design and desire for all of us, helps us know that we are united with all that exists, that everything is connected, that we need to develop deep bonds of affection with all of creation, and that this WILL result in a deeper sense of communion. He called it the fecundity of fragility – the fertility or richness that comes from fragility. They had opted to place their community in a harsh place; they had opted for fragility and in so doing had necessarily opted for dependence on God. That is my prayer for this Providence Community today, especially for the newest members of this community, as you join your energy to ours. Let us continue to rejoice in the giftedness of the individuals in this community. And let us resolve to use that richness to nurture and foster community wherever we find it, wherever we are, with whatever means we have. There is nothing more important, more radical, more necessary than community. Our fragile world needs us for this. I love to hear you speak. I especially loved this last Saturday. You are so SPECIAL to me and you make me appreciate everything in life more each day. S. Dawn, I loved hearing this Saturday when you gave the reflection. I enjoyed it even more as I read it again this morning in prayer. 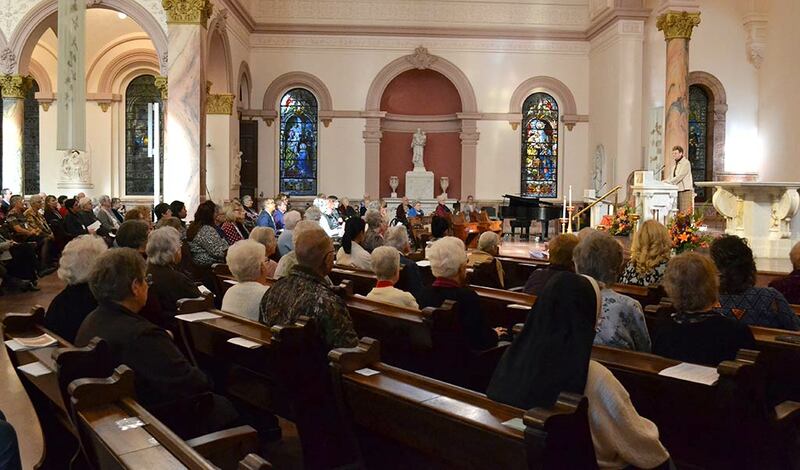 Thank you for sharing with our Providence Community.